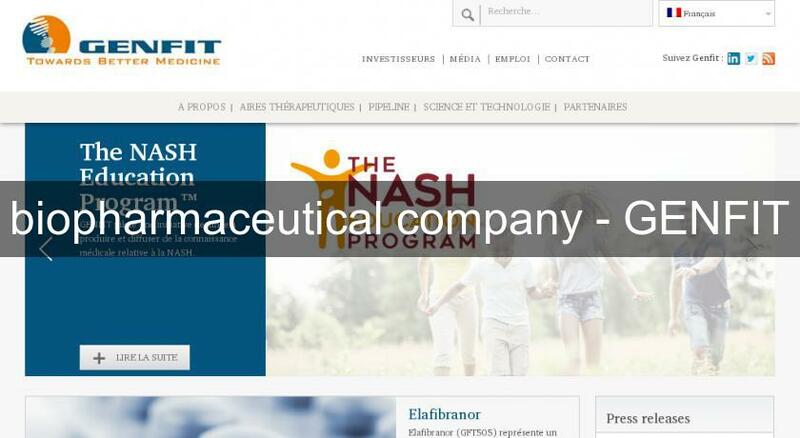 GENFIT is an innovative biopharmaceutical company listed on Alternext (ALGFT - FR0004163111) with headquarters in Lille (France) and offices in Cambridge, MA (USA) that was co-founded in 1999 by Professor Jean-Charles Fruchart, Professor Bart Staels, Mr. Jean-François Mouney and Ms. Florence Séjourné. The company’s expertise, focused on the development of innovative therapies to reduce the cardiometabolic risk, has turned GENFIT into a European biotechnology leader. GENFIT’s mission is to discover and develop new chemical entities treating mainly dyslipidemia, atherosclerosis, diabetes, obesity and inflammatory disorders. GENFIT has currently 5 programs in clinical phase of which two are internal projects. Innovative modes of action implying multimodal drugs and selective nuclear receptor modulation (SNuRM) are prevalent in GENFIT’s pipeline. GENFIT has a balanced business model that associates risk management, establishing partnerships with pharma groups on early-stage drug discovery programs, and value creation, developing its own drug candidates up to human proof of concept (Phase IIa). Current Pharma alliances include Merck, Sanofi-Aventis, Solvay, Servier and Pierre Fabre.